Political Career 1 Under the guidance of her mentor Puratchi Thalaivar M.G.R., she entered politics and became a Member of the A.I.A.D.M.K. in 1982. In January 1983, she was appointed as the Propaganda Secretary of A.I.A.D.M.K. In February 1983, she was chosen by Puratchi Thalaivar M.G.R. to conduct her maiden election campaign for the A.I.A.D.M.K. Candidate in the by-election to the Tiruchendur Assembly Constituency. Her election campaign was a trail blazer securing an astounding victory for the Party Candidate against all odds. 2 In 1984 she was elected as a Member of Parliament to the Rajya Sabha and retained the seat until she was elected to the Tamil Nadu Legislative Assembly from Bodinayakkanur Assembly Constituency in 1989. When Puratchi Thalaivar M.G.R. fell ill in 1984 and was under medical treatment in the U.S.A., the A.I.A.D.M.K. had to fight the General Elections to the Lok Sabha and to the Tamil Nadu Legislative Assembly in December, 1984. In the absence of Puratchi Thalaivar M.G.R., she took his place and spearheaded the alliance of the A.I.A.D.M.K. and the Congress (I) securing a massive victory for the alliance. 3 After the demise of Puratchi Thalaivar M.G.R. in 1987, the A.I.A.D.M.K. Party split into two with the “Two Leaves” election symbol frozen by the Election Commission of India. During the General Elections to the Tamil Nadu Legislative Assembly held in 1989, she was elected to the Tamil Nadu Legislative Assembly from Bodinayakkanur Assembly Constituency. The AIADMK under her leadership captured 27 seats. 4 She became the first Woman Leader of the Opposition in the Tamil Nadu Legislative Assembly. In February 1989, the two factions of the A.I.A.D.M.K. reunited under her leadership and she was unanimously elected to the post of the General Secretary of the united A.I.A.D.M.K. 5 Thereafter, in 1989 she restored the “Two Leaves” election symbol to the A.I.A.D.M.K. Party. In the 1989 General elections to the Lok Sabha, she steered the A.I.A.D.M.K. – Congress (I) alliance to a historic victory in the State of Tamil Nadu and Puducherry Union Territory. 6 Thereafter she secured victories for the A.I.A.D.M.K. in all the subsequent by-elections to the Tamil Nadu Legislative Assembly from Marungapuri, Madurai East and Peranamallur Assembly Constituencies. 7 During the general elections to the Tamil Nadu Legislative Assembly held in 1991, she single handedly ensured a landslide victory for her party and the alliance by winning 225 constituencies out of 234. She herself won a magnificent victory by contesting in both Bargur and Kangeyam Assembly Constituencies. She became the first elected female Chief Minister and the youngest ever Chief Minister of Tamil Nadu. Subsequently, she resigned the Kangeyam Assembly seat she had won, and made her Party candidate contest in that Constituency and made him secure an astounding victory. 8 Further she was instrumental in securing the historic 100 percent victory of the A.I.A.D.M.K. and its alliance in the 1991 General elections to 40 Lok Sabha Constituencies in Tamil Nadu and Puducherry. The alliance led by her swept to a historic victory. 9 During the general election to the Lok Sabha held in 1998, the A.I.A.D.M.K. and its alliance secured 30 seats out of 40. 10 In 2001 general elections to the Tamil Nadu Legislative Assembly, the alliance led by her won 195 seats out of 234. The AIADMK alone captured 132 seats and formed the Government. She was sworn in as the Chief Minister of Tamil Nadu on 14.5.2001 for the second time. She was elected from Andipatti Assembly Constituency in February 2002. 11 During the 2006 general elections to the Tamil Nadu Legislative Assembly, the A.I.A.D.M.K. alliance won 69 seats and she became the Leader of the Opposition in the Tamil Nadu Legislative Assembly. 12 The AIADMK under her leadership played the role of a responsible and constructive opposition. Every lapse of the State Government was pointed out. Wherever warranted, agitations and protest demonstrations were held. The people were also constantly kept informed about the wrong-doings of the Minority DMK government through her regular Press Statements. She herself presided over several of the major agitations. In the public meetings presided over by her at Coimbatore, Tiruchi and Madurai, more than 25 lakh people attended. These meetings were the harbinger of a change of Government. 13 Thereafter in the 2011 general elections to the Tamil Nadu Legislative Assembly, the AIADMK led alliance trounced the DMK led front by winning 203 Assembly Constituencies out of 234 Assembly Constituencies. The AIADMK alone had captured 150 seats and formed the Government on its own. She was elected from Srirangam Assembly Constituency by a huge margin. She was sworn in as the Chief Minister of Tamil Nadu for the third time on 16.5.2011. 9 In 2011, the New Jersey General Assembly passed a Resolution commending her superb service and leadership and paying tribute to her exemplary dedication to the people of Tamil Nadu. Publications / Contributions Written several articles in English and Tamil which have been published in various periodicals. Written four full length novels and several short stories in Tamil. Other information if any She was educated at the Bishop Cotton Girls’ High School in Bangalore and later at the Presentation Convent Church Park in Chennai. On completion of Matriculation in 1964, she won a scholarship from the Government of India for higher studies, but did not accept it as she took up a career in films in Tamil, Telugu, Kannada, Hindi, English and Malayalam. She was trained in classical dance (Bharatha Natiyam) and carnatic music from the age of 4 onwards. She is proficient in other classical dance forms such a Mohini Attam, Kathak, Manipuri. She has given hundreds of performances in Bharatha Natyam all over India and has sung several songs herself in her films. She is proficient in English, Tamil, Telugu, Kannada, Hindi and can understand Malayalam very well. 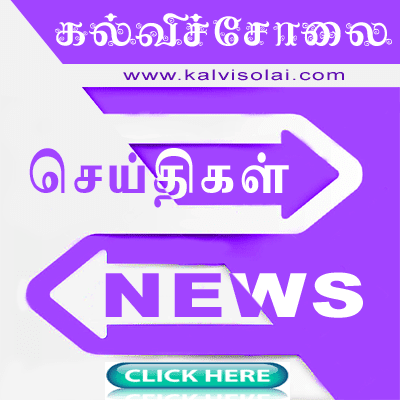 sir computer-ku eppo TRB selection nadanthathu????????????? when were you conducted TRB for computer science students?????? The selected computer teachers are waiting for more than 15 years and their selection were over during 2009 itself. They faced many hurdles and atlast the date for counseling is announced after a long waiting period of three years. Don't be innocent.Selected candidates are well experienced in private schools. Its better to cancel TET and select teachers 50% by TRB and remaining through seniority, B.Ed already makes teachers to get eligible then y unecessarly TET everyone should think of it. GO/MS No.72 told MCA is equivalence to PG degree. (for Ref. Go to page No.4 at 21st S.No and page No.10 at 41 S.No.) But CEO office told MCA is not qualified for TRB!....please clarify this and reply me. Thank you and best wishes for our AMMA AATCHI! 2004 to 2007 TRB தேர்வாணையம் மூலம் தேர்ச்சி பெற்று நடுநிலைப்பள்ளிகளில் பட்டதாரி ஆசிரியர்களாக பணிபுரியும் ஆசிரியர்களின் நிலை என்ன,அவர்களின் நிலை கேள்வி குறிதானா. Respected chief minister AMMA kindly here my grevance. my wife R.Rajasundari who is working Nagapatinam ADPC, applied counselling last month. she was affected denghu feaver and also a diobetic patient. not get any place in cuddalore, all the juniors got place in cuddalore for the next day byMALs and Ministers but we know you only AMMA please do needful and favour for us to get transfer when the vacant may come or new upgread school. kindly consider my real grevance Thanking you AMMA. B.Ed computer science teachers are eligible or not in TET exam. please tell me sir. 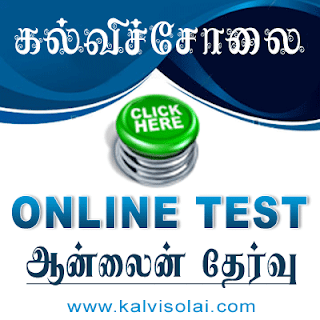 This kalvisolai website , I like very much, i know more details , thanks to the kalvisolai. Amma is giving laptop for students. We welcome.... But the students doesnt know how to operate it. It is better to appoint more permanent Computer teachers, Who is particularly eligble with B.Ed., Giving laptop is not only a revolution. To make students knowledgable in laptop is must know. Expecting to appoint B.Ed., Computer Teachers. am M.SC., computer science B.Ed computer science teachers next TRB exam date. please tell me sir. d with Msc, BEd and Mphil in computer science.they are worked in past 14 years . We come to know that computer teachers will bke selected based on employment seniority.so kindly request honourable amma to give foremost priority to us(qualified terminated computer teachers)) in appointment. Sir I have done BA from Panjab University: Chandigarh consisting of 8 papers per year for 3 years. They are 1.English compulsory, 2.English Elective Paper I, 3. English Elective Paper II, 4. History and Culture of Punjab, 5&6. Political Science Papers I & II, 7&8, Philosophy Paper I & II. On the basis of this I did B.Ed with Optional I&II as English from TNTEU. I have appeared for TET. If I qualify will be considered for the post of English teacher? And do I have to produce an Eligibility or equivalence certificate? If yes then from where? Please guide me. I don't want to miss out this time. I want to get into teaching profession very badly. good afternoon to everybody we are all expecting from computer science TEACHERS BSC., BE.,D.,.when will u conduct from tet or trb exam.plz inform that sir.